Your Dishwasher Can Last 10 Years If You Follow These Guidelines! A few simple maintenance tricks will help your dishwasher last. It’s good to take care of your things – if you show love to your stuff, riches will come to you in return. For example, according to H & R Block, a dishwasher lasts 9 years. If you want your dishwasher to last this long, they recommend doing routine maintenance every once in a while on it – like cleaning out the dishwasher filter (if your dishwasher has one). Another article suggests that you wash your dishwasher with vinegar once in a while. To do so, “simply toss a cup of white vinegar into the bottom of an empty dishwasher and run a normal cycle.” Doing this will clean out any mineral clogs from hard water, or any stuck food particles from cycles past. Also, you’ll want to clean your dishwasher trap every so often to remove any food stuffs that get stuck there. It’s usually located “under the lower sprayer.” You should also clean the “bit of ick and stick around the rubber gasket in the door as well and often around the soap door as well.” Thus, with just a bit of routine cleanings – you can keep your dishwasher up and running for about a decade. 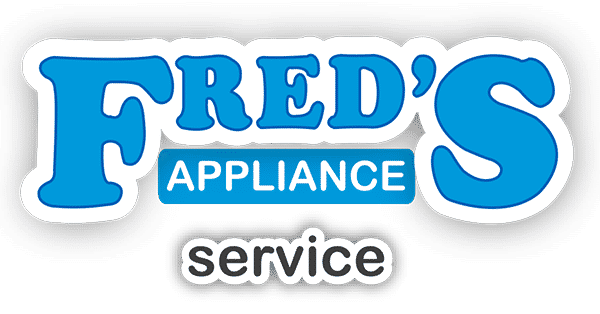 Fred’s Appliance serves northeast Ohio. 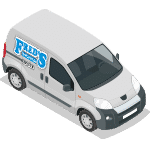 We service most major appliances, including dishwashers. You can trust us since we train appliance repairmen from other appliance repair businesses. We’ve been in the business for almost three decades. If any of your appliances need replacement parts – we only use manufacture-brand or factory-specific parts. 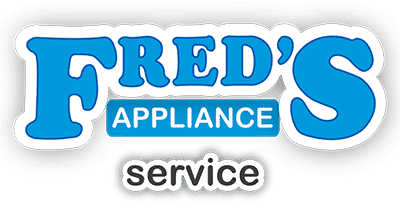 If you’d like more information about our dishwasher appliance repair service, feel free to contact us today!